MOSCOW, Russia – Renowned names like Shimano, Schwinn, Cube, Specialized, Merida, Haibike and Marin were there through their distributors. And they all, like many of their Russian counterparts, offered e-bikes at the Bike-Expo 2017 show which was held in Moscow last month. 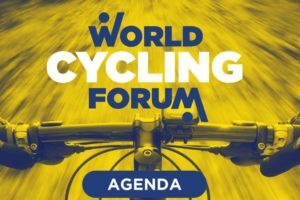 However, what became very clear here is that it will take time for e-bikes to become a trend within the crisis-hit Russian sports industry. 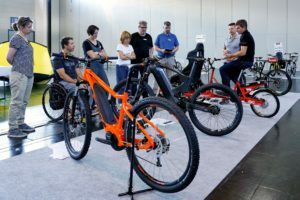 What really stood out at the Bike-Expo show, which took place from September 7-10 in Moscow, was the number of electric bikes presented here. Most exhibitors had at least one motorized model. Several companies even exclusively displayed e-bikes, including one Moscow design bureau rigging a titanium frame with a powered transmission with batteries hidden inside the tubeset. But, electric personal transport is just emerging in Russia. 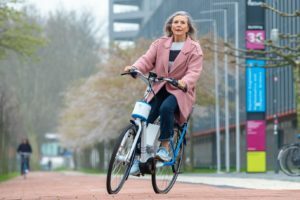 With the arrival of highly popular gyro-scooters (also named hoverboards) and monowheels it is expected that e-bikes will only slowly becoming a trend. In addition to the competition e-bikes are faced with when regarding the popularity of hoverboards/gyro-scooters nowadays in Russia also legislation issues could hold e-bikes back. There is no common practice in allowing or either banning electric transport on Russian roads. Legally motor power must be limited to 250W. But traffic police don’t know how to handle the problem of tuned e-bikes that have several thousand watts onboard. 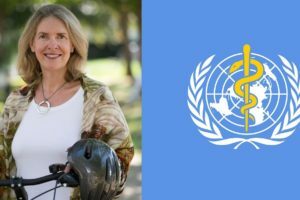 With e-bikes reaching the critical mass accidents are bound to take place with owners fined or burdened with awkward new rules. Another reason for the slow electric bikes revolution in Russia are prices as well as the necessity to carry and keep an e-bike in one’s apartment as there are no storage or utility rooms in most apartment buildings in Russia. Apart from all these reasons that hold e-bikes back now in Russia there are shops popping up for electric personal transport in several Moscow malls. 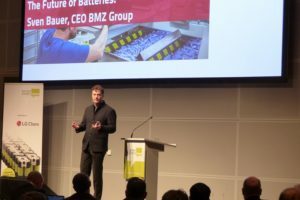 They will contribute to e-bikes gaining a foothold on the Russia market. established Velo Park show held every year in February. 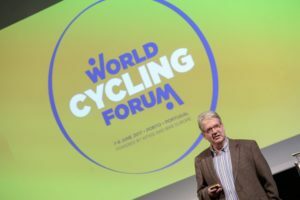 Bike-Expo was tailored as B2B event with an appeal to bike dealers especially those from the regions. What became clear at Bike-Expo is that the Russian bike market is (too) small for two major bike shows. But despite that Bike-Expo was able to fill one 4,700m² hall that also had the bigger names from Russia or from Belarus in the case of Aist. 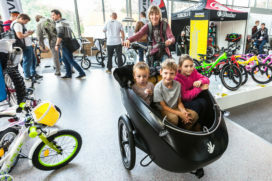 Bike-Expo started with two business days with just one last day open for public. The show lacked visitors which was the number one complaint from exhibitors. Although most the company representatives at their booths said they had enough business contacts to call the show successful for them, everyone wished it was more busy. Next Russian bike show is Velo Park in Moscow which is scheduled for February 8-10, 2018. Bike-Expo is yet to announce its show dates for next fall.